Our Level 2 advanced diver program is managed on small groups (2 to 4 people) for more attention, safety, and your time optimisation. It is a 2 days course. The certification is valid straight at the end of the course (if everything completed and passed). 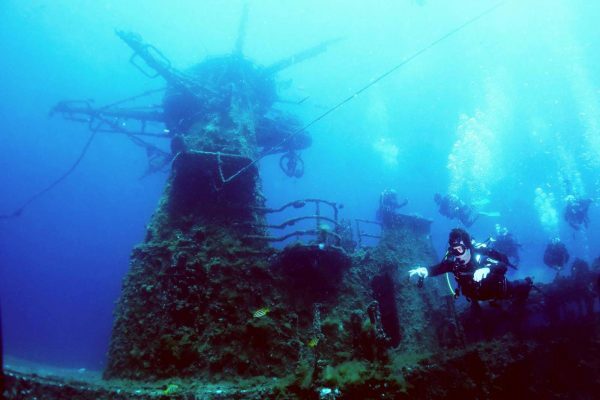 It allows you to dive independently up to 30 metres deep, and specialise yourself on the areas that you prefer (5 dives with 5 different specialties). Be at least 12 years old; an authorisation, signature, and meeting with at least one parent will be required if less than 18 years old. The visibility varies between 3 and 15 metres. Perth Ocean always chooses the best dive site according to the weather, so you have the best and calmest conditions. There is lots of soft and algaes where our favourite animal likes to hide: The sea horse. It is also very common to see octopus, lion fish, sea stars, sea urchins, nudi branchs, small rays, crabs, cray fish, prawns, schools of fish like herrings or yellow tails, butterfly fish, cuttle fish. Occasionally and depending on the dive site, we encounter dolphin, sea lion, hawksbill turtle, squids, bull stingray, trevally, wrecks of small boats or planes, small sharks like grey nurse, wobbegong, or port Jackson. Perth Ocean ensures to have the best and newest equipment and services it every year. Accessories you need to participate to a level 2 Advanced diver program, such as dive computer with no decompression times, compass. Are there sharks, and are they dangerous? Yes, there is sharks in the Ocean. Out of more than 500 species of sharks recorded in the world, less than 10 are known to possibly attack humans (like great white, tiger, mako or oceanic shark); they are deep water sharks that do not usually go to shallow water we dive in during the course. Yes, and you will be encouraged to do so if you have chosen the photography or videography specialty! 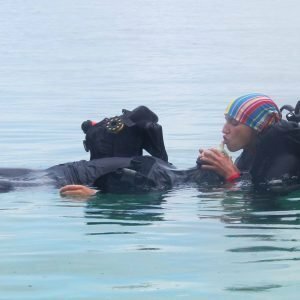 Can I fail the level 2 advanced diver program and not obtain my certification? 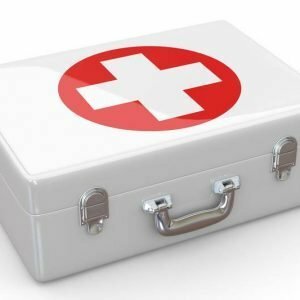 The level 2 advanced program is very easy if you listen to and follow the instructions, and if you fail an exercise, you can practice and do it again. The theory is very minimal on the level 2 advanced we focus more on the practice, which just means dive, dive, dive, dive and dive! Finally, your instructor will never put pressure on you or ask you to do something he/she estimates you are not ready for. 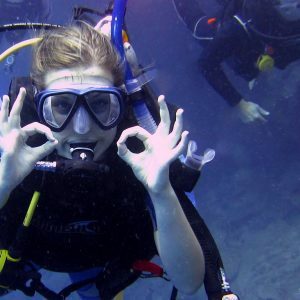 It happens that we need to extend the course (one more day or dive) to let you go at your peace without stressing you. In theses conditions it is very hard to fail your course! What would be the exercises? The below listed prices are all included: All equipment, theory supports, a PADI experienced instructor, and all other costs.